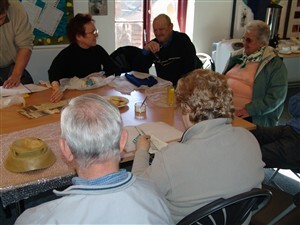 The Our Town Project was funded bythe Renaissance in the Regions programme and involved local people in creating a Community Archive, recording memories and experiences of living and working in Great Yarmouth over the last 60 years. The Our Great Yarmouth website was created to share some of the pictures and memories gathered during the project. We would like people to contribute information and photographs about their memories of Great Yarmouth sparked by the material already on the site. The information provided will be edited by our team of volunteers and uploaded onto the site for everyone to share. This page was added by Laura Matthews on 20/03/2007. My great great great great grandfather Rev.John Simpson was a lay preacher with Wesley in the late 1700s. I would like to more about him and his family. I'm trying to find any information on the Mayor Robert Nudd who was in service in 1905 but died at the end of that year. I have only found 1 photo which is held in Norfolk County council. Just to wish all who read the web site of Time & Tide and all the staff of the same a very happy New Year 2013. Keep the letters coming, thanks to all for past comments in 2012; what a great year.